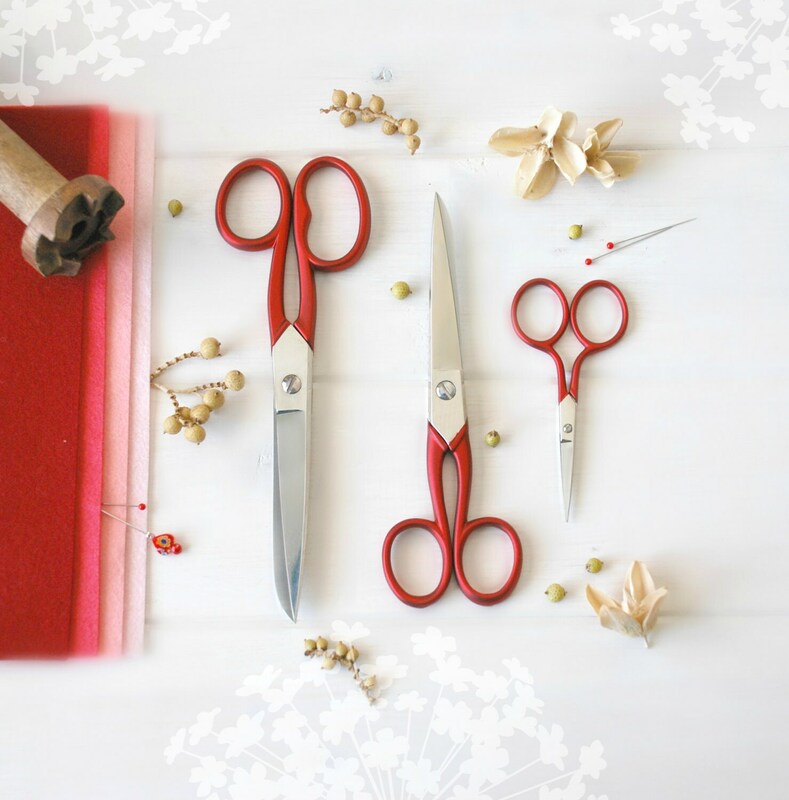 How beautiful are these Scarlet Red handled scissors?!! This very small size is perfect to cut appliques, it gets to those tiny spaces as it has a very pointy end!! I have used them for cutting my very small wool felt details for hoop art and embroidery and just love them!! Mare with carbon steel and the handle has a smooth velvety red finish. These non-split handles combined with precision sharpened carbon steel blades ensures both smooth performance and long-lasting comfort. Ideal for textiles including Crafty's wool felt, paper, cardboard, and a lot craft materials. 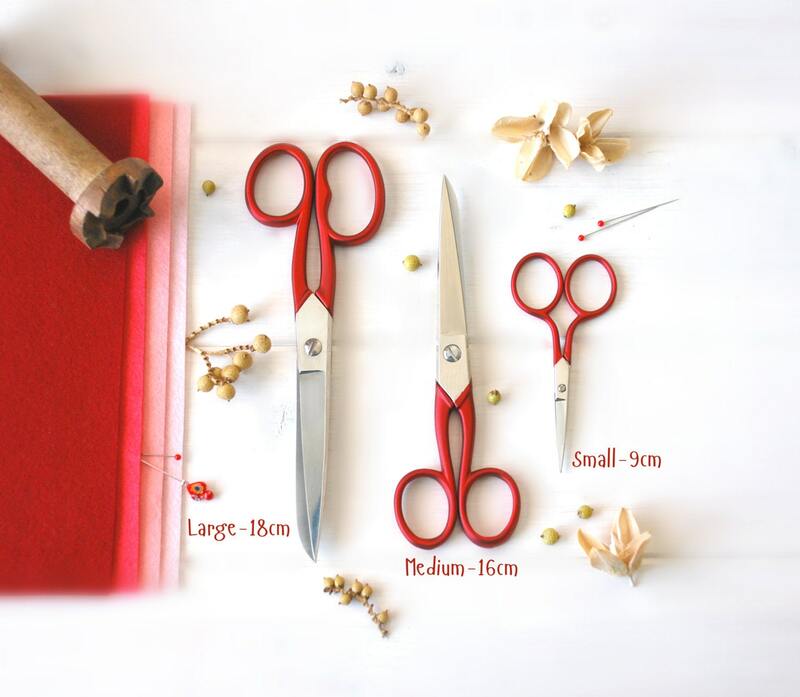 These gorgeous scissors are made in Italy and come in 3 different sizes. Beautiful and sharp! Shipped on time. 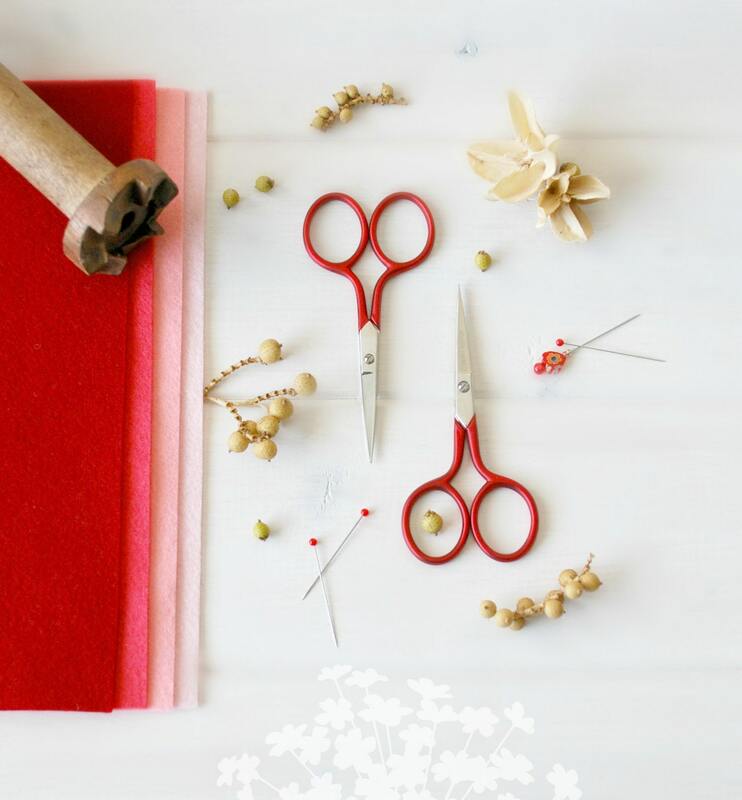 Wonderful little scissors - perfect for intricate cut-paper collage. Thanks so much! Great product, quick shipping, and nice packaging! I keep coming back for the wide variety of wonderful items, and great service. Thank you so much! Very fast shipping, I'm a cake decorator and I use my scissors for cuts that are very tiny, Is very well sharpened and has a very fine tip, very good quality I love it thank you!